Issued 19 March 2019, one year out from NZ2020. 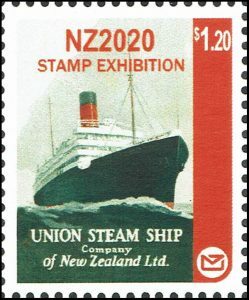 CAL series 2 supports the maritime heritage theme by commemorating two of the more significant shipping lines in the history of New Zealand’s development – Shaw Savill & Albion Co Ltd and the Union Steam Ship Co of New Zealand Ltd.
A single CAL design was issued on 21 September 2018. This coincided with the opening of the Macau 2018 International Stamp Exhibition where the formal signing of the NZ2020 contract between the Federation of Inter-Asian Philately (FIAP) and the New Zealand Philatelic Federation took place. The CAL incorporates the NZ2020 logo and recognises the contribution NZ Post is making to the show. CALs were used to create a maximum card and covers were specially cancelled at the NZ Post stand at Macau 2018 and later at Thailand 2018. These covers were distributed to Commissioners, Jury members and others at both shows to encourage their participation at NZ2020. A similar cover will be produced and distributed at China 2019 in June 2019. Examples of the covers, maximum card and CAL have been reserved for free distribution to members of the Patrons’ and Supporters’ Clubs while a limited number of each are available for purchase. Check SHOP. The image in the NZ2020 logo depicts a yacht in the foreground with the Auckland central city skyline as background. 2001 Regional postal stationery – indicia and cachet. Auckland, the largest city in New Zealand with a population of approximately 1.7 million, is known as the “City of Sails” as it is claimed there are more boats per capita than anywhere else in the world. A 2012 survey estimated 25% of households owned a boat. Auckland’s Anniversary Day is well known for a regatta, possibly the largest in the world, on Waitemata Harbour. In addition to conventional yachts there are races for waka (Maori canoes), tugboats and dragon boats. Sky Tower, a telecommunication and observation tower is 328m tall making it the tallest structure in New Zealand. It is a dominant landmark in the skyline due to its height and design. NZ2020 has chosen the theme “maritime heritage and water” – both significant to New Zealand and its way of life. New Zealand is long and narrow (over 1,600 km from north to south with a maximum width of 400km), with about 15,000 km of coastline and a total land area of 268,000 sq km. Because of its outlying islands and long coastline, its exclusive economic zone is one of the largest in the world, covering more than 15 times its land area. In New Zealand, there are more than 425,000 km of rivers and streams. There are 3,820 lakes in New Zealand with a surface area larger than one hectare. Canoes were a significant transport mode of the Māori. Coastal shipping – sail then steam, was the backbone of colonial transport. For example, until as recently as 1908, the standard Auckland to Wellington journey involved an overnight ship journey via New Plymouth. New Zealand depends on the sea. Its major cities are coastal and even today almost 99% of imports and exports (by weight) travel by sea. New Zealanders take full advantage of the large number of rivers, lakes and the extensive coastal surrounds for sport and recreation. NZ2020 has sent formal letters to all FIAP members asking them to nominate Commissioners for NZ2020. Once a commissioner is appointed, exhibitors in each country will be advised who they should contact if they wish to enter an exhibit. These details will also appear on this web site at Commissioners. The application form every exhibitor must complete is now available on the website at application form. At the Awards Dinner for Macao 2018, 35th Asian Stamp Exhibition the contract between the Federation of Inter-Asian Philately (FIAP) and the New Zealand Philatelic Federation (NZPF) was signed. Gary Brown, NZ2020 FIAP Co-ordinator, and Stephen Chivers, President of NZPF signing the contract flanked on left by Prakob Chirakiti, President FIAP, and on the right by Tay Peng Hian, President FIP. 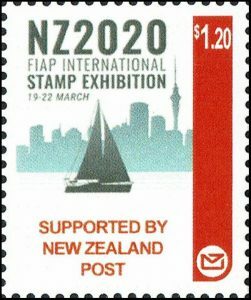 The contract details the joint obligations of the two signatories and the NZ2020 Stamp Exhibition Organising Committee and endorses the Patronage of FIAP for NZ2020. 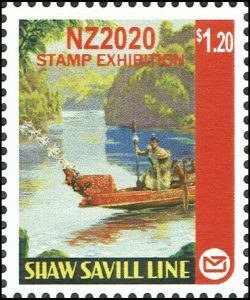 NZ2020 is the first international exhibition held in New Zealand since the successful NZ1990 World Stamp Exhibition which is still remembered with pride by locals and with fond memories by those who visited. We aim to achieve similar results for NZ2020 and invite you to be part of it. While some areas of the website have still to be completed you will find much useful information about the show already entered. 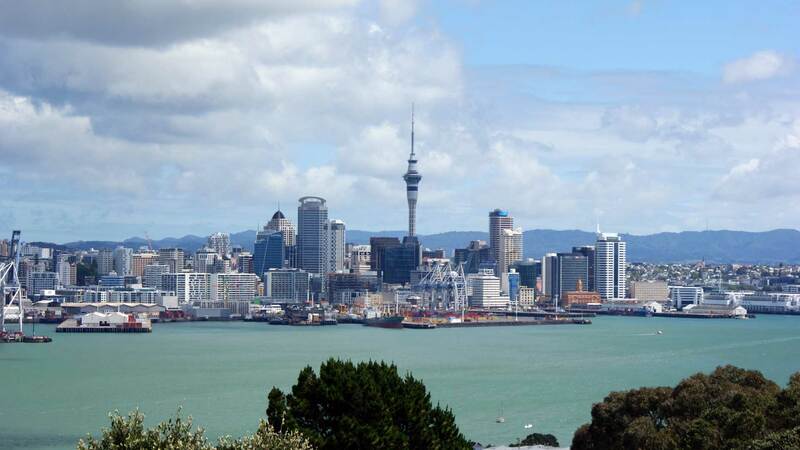 For visitors to Auckland the website will provide information about the venue, how to get there, where to stay, programme of events, other possible places to visit while in Auckland or New Zealand and much more. For exhibitors the site will provide details of the classes of exhibits on offer (all FIP classes including Picture Postcards), how they can apply and a range of other information. For all of you the opportunity is provided to register your interest in being kept up to date with exhibition news – see ‘Contact’.